Here is a view of one of my favorite edge on spirals. 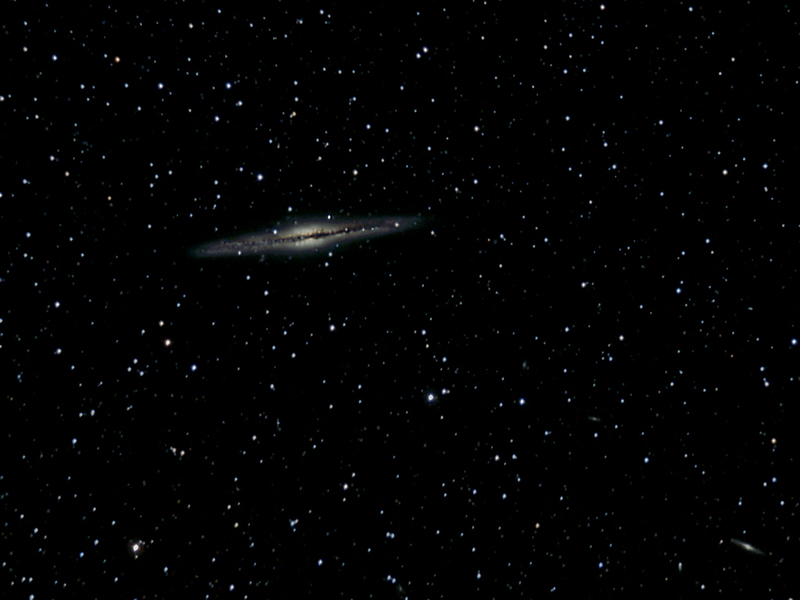 Processing Calibration, stacking, background noise reduction and initial star size reduction done with Images Plus . Background correction and further noise reduction applied in Paint Shop Pro . The noise reduction resulted in some low spatial frequency blobs that were fixed using the technique detailed here . LMS processing was used to preserve the core while stretching the fainter areas. The star colour was enhanced and slight tracking error was removed . Finally the image was sharpened using Focus Magic and resized for the web.